Raising baby chicks on a proper diet, with small feedings spread over the day, at regular intervals is the only way to reduce the number of babies dying on you. Overcrowding should never be practised and living quarters should be extremely clean, with good access to clean water. If you have this knowledge under your belt, then bringing up your day old chicks through to weaning age, will be a lot easier than you may have thought or read about. You just need to exercise common sense, and follow some simple advice, as laid out below. Day old chicks while still inside their shells feed on the yolk. One of the last things a chicken does before hatching is to draw into its abdominal cavity the unabsorbed portion of the yolk. This yolk will keep a chick going for up to 48 hours after hatching, and therefore you don't have to worry about feeding your chicks straight away. There are others who will tell you that you don't have to worry about feedin your chicks for the first 96 hours. However, you will find that you can lose a lot of chicks this way. Even if you withhold food for your new chicks for several hours they should still be offered water, but in very shallow containers where they don't end up drowing. Feeding Baby Chicks - day 1 , one of the best foods for a day old chick is a mixture of hard boiled egg and stale bread crumbs. You can easily process stale bread for them in a food processor, or by just grating the bread by hand. A little of this mixture should be sprinkled on flat container - like an old baking tin - and the chickens will, in most cases, eat immediately. In a couple of hours or so, you can offer them another meal of the same. Feeding Baby Chicks on days 2- 3 you can offer the same, but with same coarse oatmeal added to the mixture. Don't feed this mixture to your chicks longer than the first 3 days, unless they are very weak and the weather is particularly cold. Feeding Baby Chicks on day 4 you can remove the chopped egg and bread from the mixture and add some scaled biscuit meal instead with the oatmeal and some minced parsley or spinach. I prefer parsley over spinach because it has a higher concentration of vitamins, but each is just as good. Don't give them too much lettuce if you choose this as a green, as it can give them diarrhea. 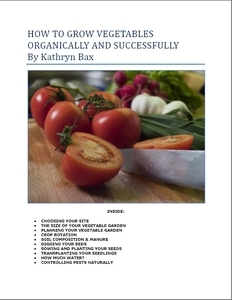 Other vegetables can be minced and given to your chicks, especially cabbage and onions. One wouldn't think that onions would be appreciated, but it is, and very good for them as it can help prevent many diseases. Even your older chickens will benefit from giving them onions. I also give the chicks a little minced garlic at this stage. Once the chicks have been on the oatmeal and biscuit meal mixture for a couple of days you can start offering them some dry food. Do this just at the end of each meal, a little at a time so that they get used to it. It is too early to offer them dry food as staple diet. By dry feed I mean a collection of seeds or broken grains that is marketed as chick food. As soon as the chicks are strong enough to move about on their own they should be removed from the brooders and given access to a small run on days when the weather is good. This works better when the chicks are raised by hens as when the hens come outside, the chicks will normally follow. However, they should only be given access to the run once the dew has dried off the grass. If not, your chicks will get sick, and you will lose some. The run should also be protected from the wind, and also covered on the top with netting to prevent your chicks from being picked off by birds of prey. Once they are in the run, they can be fed from there, and the chicks should be encouraged to get out and about. If you only have a few hens with chicks, they can be let outside to free range. However, this is impossible if you are raising a number of new chicks. Allowing them outside also opens them up to the dangers of preying animals. After 10-14 days the chicks can have another change to their diet. Instead of using oatmeal which can be a bit pricey, you can add some fine middlings mixed in with the biscuit meal. Remember, that any water that you add to the food should be the bare minimum. You want the mixture to be moist and crumbly, rather than wet and sloppy. If the mixture is too sloppy your chicks will end up with diarrhea. Boil rice can also be offered to your chicks, but it has to be boiled, rinsed well in cold water and minced. Just before feeding them the rice you can add a little of the fine middlings to you get it to a fine crumble. Rice is very good for preventing diarrhea, but again make sure that you don't give it to them too wet or sticky. This is why it is important to rinse the rice after it has been cooked. After your baby chicks are 2 weeks old you can start introducing them to a little meat. You can either give them a little mince in their mash, or you can give them dried, granulated meat meal that needs hot water added to it before giving it to them. At this age only a very little meat should be given - no more than a tablespoon to be shared between your chicks, per hen, and distributed evenly throughout the mash so that everyone gets their fair share. Don't feed them meat more than twice a week at this stage. Keep them away from green cut bone until they have all their feathers - at least 8-10 weeks of age . However, if you want to introduce them to bone meal they will be fine with this, at this stage, and as they continue to grow whether you are raising them for either meat or eggs. If you are raising stock birds, then bone meal is an essential part of their diet. In general bone meal is good for developing strong bones, helps prevent crooked breasts, seen more often when raising turkeys than chickens, and when the chicks are young helps pervent diarrhea. After 3-4 weeks the biscuit meal can be replaced with ground oats, or instead of giving it to them twice a day, only give them the biscuit meal once a day. Oats, if mixed in equal proportions with fine middlings makes a good alternative and you can continue to give this to them even after they mature. If you want to use maize meal, scaled with boiling water and stirred when cold so that it forms crumbles, and combined with middlings is also a good change for them from time to time. The dry feed of mixed seeds and broken grains can also now be stopped gradually and wheat given instead, or cracked or kibbled corn, barley and buckwheat. Although all of these are good for your chicks, avoid giving them too much corn and buckwheat in summer as both of these foods heat up chickens. Which is a perfect food for winter, but not so much in summer. You can also start introducing your chicks to other greens beyond parsley and spinach. If you want to know what foods you can safely feed your chickens, and of course what not to feed them then see the page on what to feed chickens . But there are some foods your chicks will love - bread soaked in milk, yogurt or sour milk is excellent for them, especially yoghurt that has live cultures, and is a good source of Vitamin B12 necessary for good health. But milk in generally is good for your chicks, and often used by poultry men in the past as a way to fatten their chickens for market. Recipe 1. Add a little sour milk, stir in enough corn meal to make a stiff mixture - the stiffer the better. Add a few infertile eggs to the mix. Add more corn meal if it is not stiff enough. Bake in a medium oven until cooked through. Make the cake fairly thick, so that there isn't too much of a crust. Recipe 2. Take 1 pint corn meal, 1 teacup of bran, 1 teapoon meal mea and a raw egg, one teaspoon sour milk or baking soda, one teacup cold water. Bake in a slow oven for 2 hours. Recipe 3. Take 3 quarts corn meal, 1 quart wheat middlings, 1 cup meat meal, mix with skimmed milk to which you have added 4 tablespoons vinegar, and 2 tablespoons baking soda. Bake as for recipe number 2. How often should you Feed your Chicks? When your chicks are days old, feeding them every 2 hours, but 6 to 8 times during day time would not be too often, as long as you were only feeding them a little at a time. One of the biggest mistake novices make is over feeding their chicks which overloads their digestive systems and they get diarrhea. As they get older, you can cut back the feeds to 3 to 4 times a day. By the time they are 2 months old they should be allowed to forage for themselves in the outside, and then feeding them twice a day would be more than enough. 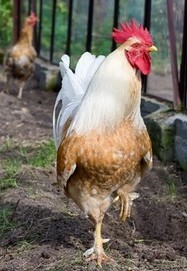 If your chickens are confined to a run, then they will need to be fed 3 times a day after they have been weaned. 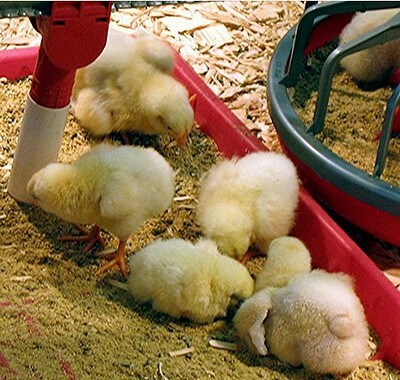 After you start feeding you should monitor your chicks and see how often they need feeding. Never withhold food for long periods of time once you start feeding them. You should feed them enough so that they finish all that you give them without leaving any lying around for the rats to find later. You cannot rely on books or websites to tell you how often or how much to feed your chicks as this will all depend on a number of factors; the time of year, the weather, their age, their breed, the kind of food given, etc. You really have to rely on observation and common sense. Morning: Mash followed an hour later with wheat or cracked corn. Evening: Just before they are put away for the night: All the mash they will eat. When offering dry grains, these can be thrown on the floor, encouraging your chicks to forage and to give them exercise. However, when you are offering a wet mash then it is better to place the food in a trough. The danger is that the trough is too small which ends up with some of the chicks being crowded out and losing out on a meal. 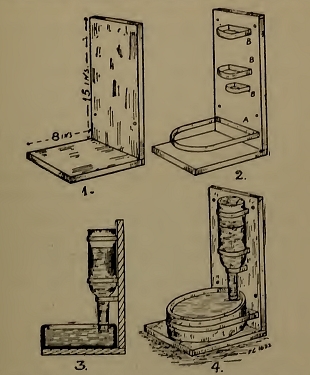 For an average brood of chicks, a bit of board 5-6 inches wide by 10 - 12 inches long, with strips of lath nailed around the edges to form the sides for a very shallow box is perfect for the mash, giving the chicks enough room to feed. In the olden days when farmers were raising baby chicks the thought then was that chicks didn't need water. That they got their water from their food, as dry food wasn't given in those days. However, they also used to lose a lot more chicks, not knowing why. Today we know that giving your chicks access to clean water at all times is very important. If you don't keep the water clean you are inviting disease. Water should be placed where it is readily available, stays clean and is out of the sun. Although I have used water hoppers in the past, I have found that often the chickens end up fouling the water, and it has to be replaced twice a day. On the otherhand, by using a homemade water fountain mounted on a wooden platform and nailed into the wall of the chicken coop, water is kept off the ground, and remains a lot cooler. Place two pieces of wood at right angles to one another and screw together in the joints, as seen left. The longer piece of wood is 15 inches, the smaller one, 8 inches. The depth of wood doesn't have to be thicker than a half inch. Strap in a container from which the chickens will drink, and strap in the bottle filled with water, turned upside down. As the chickens drink, the water will refill the container from the bottle. Don't use plastic for your water fountain. If sun ever gets to your bottle you run the risk of having chemicals from the plastic leaching into your water. I use a large glass bottle that used to have olive oil in it, and this works well. Just place it low enough for the chicks to be able to get to the water, but not low enough that they can get into the container. If you aren't able to make these water fountains, then the next best thing is using shallow containers like terracotta flower pot saucers. These are shallow enough for the chicks to not end up drowning themselves, but big enough to offer a good supply of water thoughout the day. Grit is very important as this is essential for good health and important for helping the chickens digest their food. You will be able to buy this commercially, but if you are lucky enough to live near a river, fine gravel from a fresh water river or stream works just as well. If you allow your chickens to free range, then you don't need to worry about grit as they will be able to pick up plenty of grit around them. Most beginners will have problems feeding their chicks, and so I thought I would list some of the most common mistakes made, so that you don't fall into the same trap. 1. When soft food is given too much is offered with not enough hard grains. Chicks have digestive organs that will take the same kind of food an adult chicken will eat, only the pieces offered should be on a smaller scale. 2. The food offered is often too concentrated, especially when it comes to the meals- corn meal, oat meal and hard boiled eggs. Corn meal can be used alone, especially if baked in a Johnnycake. Bur raw, or only partly cooked corn meal is difficult for the chicks to digest. When offering oat meal, mix it with cooked corn meal and some bran. The ratio of meal to bran can be slighly more for chicks than for adult chickens. Boiled eggs should never be offered after the 3rd day. 3. Many fail to realize the importance of offering meat meal and meat scraps. However, if you have meat meal in your Johnnycake, then don't over any more meat in the other meals. 4. Many fail to give enough greens to their chicks. If your chicks are not allowed to free range, and don't have access to herbs and grass, then you will need to add greens to their daily diet. Anytime between 5-10 weeks , depending on the time of year, the weather etc. you can start weaning your chicks. By the time weaning comes around the chicks should have all their feathers, and able to keep themselves warm without mom around. You don't want to take the hen away from her chicks at the begining of a cold front coming through, or a turn of bad weather. However, you will also need to know that if you leave the chicks too long with the hen and the weather is hot they could end up overheating, followed by disease. When you wean your chicks, hopefully you have several broods that you can put together in a coop. The chicks will huddle together to keep each other warm, and it works better as a result. Any chicks you put together should roughly be the same age. Never mix age groups together. If you have light and heavy chicken breeds among the chicks, then these should be separated out as well. The sexes should also be separated as soon as the cockerels begin to crow or even before that. No matter how careful you are in raising day old chicks, there are always losses, and this time, no matter how sanitary their living conditions are. This is just a fact of life. If you can get through the first 10 weeks or so, then generally your chicks will be fine. But if your chicks pick up anything in the first 10 weeks that doesn't end up killing them, they will probably carry this weakness throughout their lives. And a lot of how they are in life will depend on a number of factors - even before they are born, such as whether having strong parents, the chick hatched well, whether they are fed properly and raised under clean conditions.